It was April 24, St. Mark’s Eve. For most people, St. Mark’s Day came and went without note. It wasn’t a school holiday. No presents were exchanged. There were no costumes or festivals. There were no St. Mark’s Day sales, no St. Mark’s Day cards in the store racks, no special television programs that aired only once a year. No one marked April 25 on their calendar. In fact, most of the living were unaware that St. Mark even had a day named in his honor. Blue Sargent remembered, too. Every St. Mark’s Eve, she and her mother, Maura, went to an abandoned church outside Henrietta, Virginia, and waited for the spirits to arrive. On that night each year, Maura, a psychic, could see the spirits of those who would die in the coming year, with the help of Blue, whose only gift was the ability to amplify others’ gifts. This year, however, was different. Neeve, Blue’s aunt, came to the churchyard instead of Maura. And, for the first time, Blue saw a spirit, that of a teenage boy who called himself Gansey and wore a raven-crested sweater, the uniform of the nearby Aglionby Academy. Neeve tells Blue that if she sees him, she must be either his true love or the one who will kill him. Blue has known for years that she would kill her true love, but she knows just as certainly that her true love could not be a boy from the loathsome Aglionby, home of the rich and entitled. Meanwhile, Gansey, along with his close friends Noah, Adam, and Ronan, are on a quest to find the body of the Welsh king, Glendower. Following the supernatural lines of energy known as ley lines, Gansey has become convinced that Glendower is buried somewhere in the Virginia mountains. If he can find the ley line and awaken Glendower, the king will grant him his desire. This novel by Maggie Stiefvater starts off seeming fairly predictable. The prophesy, the four raven boys, the quest all seem to point to an inevitable conclusion. It looks like a teen across-the-tracks romance with supernatural elements thrown in. But the path the characters take is more complicated than I expected, and the characters are satisfying people to spend time with. By the end of the novel, the first in a planned series of (I think) four books, that inevitable conclusion seems far away, and what romance there is seems beside the point. For this is a book about people discovering their destinies, which may or may not include true love. In fact, it reminded me a bit of Susan Cooper’s Dark Is Rising series, with its characters whose lives touch legend and thus become part of the legend, whose lives indeed are meant to be part of the legend. My sister, who knows the author, has been encouraging me to read this book for a while, and it was a lot of fun to read. For me, it was especially entertaining to see references to places that I’m familiar with. 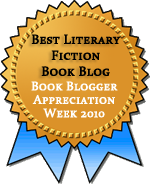 Henrietta itself is fictional, but Stiefvater mentions a couple of Shenandoah Valley locations (such as Luray Caverns), and the landscape itself is important to the story. The ending resolves a few plot threads, but a lot—including the prophesy at the beginning of the book—remains unresolved at the end. I expect I’ll be reading The Dream Thieves soon, but I also expect I’ll be left hanging at the end of that one, too. Some characters have secrets that are little more than hinted at in this book, so there’s lots of room for more storytelling. 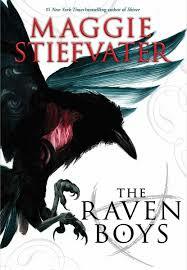 Your review voiced my thoughts on The Raven Boys exactly! I did expect it to be predictable, and I am looking forward to reading the second book! I felt really uneasy after the first couple of chapters, fearing I knew exactly where it was going, but it kept surprising me. I’ve seen this author’s name everywhere. I’m not a big YA reader so I haven’t rushed to pick up her books, but I do like to have a few possible choices up my sleeve for my nieces who are both big YA fans. And one day I might read her myself – you never know! She has written or is writing multiple series, and I think films are in the works of several of them, so I think her name will be around a lot for the next few years. I liked reading about locations I was vaguely familiar with as well. These books have windy, twisty plots in the best way. Now I’m excited to read the Dark is Rising series, too. Thank you for the recommendation! The Dark Is Rising is so great. It’s geared toward a younger audience than this, but I feel sure it was an influence. The Dark is Rising is exactly what I was reminded of reading these also. I read somewhere recently that Steifvater has read the Cooper books, so I guess that’s a reasonable connection to make. I did a little poking around online the other day, and she mentioned on her Tumblr that Cooper’s books were an inspiration–those and Lloyd Alexander’s books.